Ligamentum Nuchae a.k.a. Nuchal Ligament creates the median fibrous septum in the middle of the muscles of the two parts of posterior neck. It is a triangular sheet of fibroelastic tissue. From the external occipital protuberance till the foramen magnum, the base of the ligamentum nuchae is connected to the skull. The apex of ligamentum nuchae and the tip of the spinous process of vertebra CVII are attached to each other. The posterior tubercle of vertebra CI and the spinous processes of the other cervical vertebrae are attached to the deep side of the ligament. The median portion of the external occipital crest. The posterior tubercle of C1 and the medial aspect of the cervical spines. The ligament has straight fibrous connections together with the spinal dura in the middle of the occiput and C1 as well as among C1 and C2. It has anatomical and clinical importance. 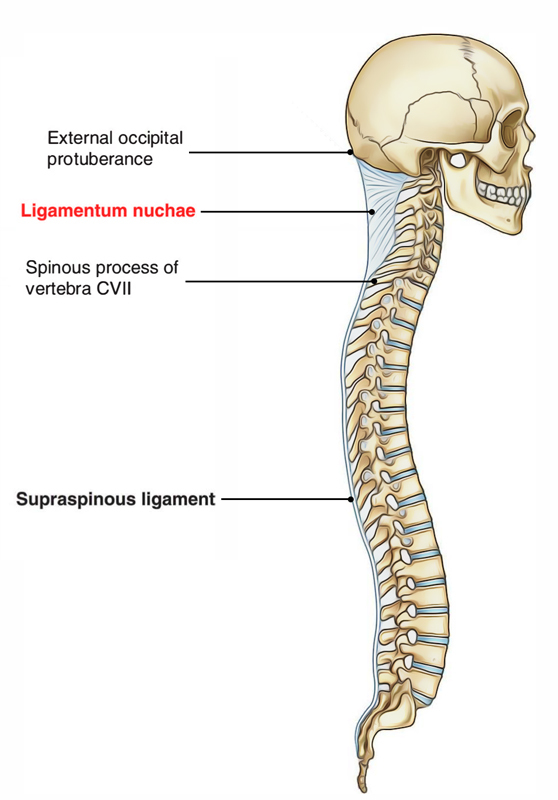 The ligamentum nuchae reinforces the head. It opposes flexion and enables returning the head toward its normal anatomical location. 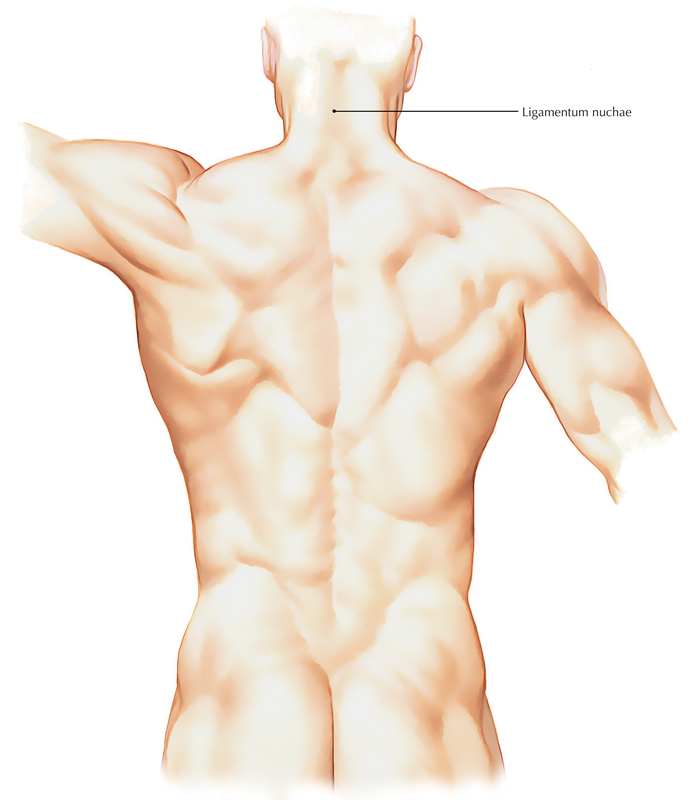 The wide lateral surfaces along with the posterior edge of the ligament give connection for surrounding muscles.